It's no secret that 2007 (and the beginning of 2008) was a red hot year for the Toronto condo market with week long line ups to purchase preconstruction condo units and record breaking sales numbers. With the current state of the economy south of the border, it's inevitable that the Canadian economy will be affected by the US's slowdown. Many people are wondering what this means for the Toronto Condo market and are we in a condo bubble ready to pop? Lending Institutions: The good news is that Canadian banks adhere to tighter rules and regulations for lending than our U.S. counterparts ensuring that borrowers can truly afford their financial obligations. In 2006 and in the first half of 2007, only 1 in 400 mortgages went into arears in Toronto. Interest rates also remain quite low and are expected to decrease in the near future, keeping Toronto real estate affordable. Affordability: More and more first time buyers and young families are turning to condos as the price of single detached homes continue to rise. For the month of February 2008, the average selling price of a detached resale home in the central regions of downtown Toronto and North York was over $800,000, making it virtually impossible for first time and young buyers to become home owners in the core areas. 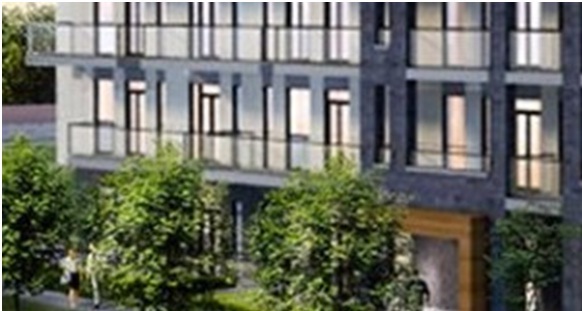 New condos in Markham remain the most affordable ownership option for central urban living. Diversified Labour Market: Toronto has a well diversified employment market with the number of jobs in finance, insurance, professional, scientific and technical services out numbering those in the manufacturing sector. Toronto has also experienced strong employment levels with unemployment levels at about 6.8% in 2007. This diversified labour market is less susceptible to widespread job loss than surrounding suburban cities. Population Changes: Toronto is the largest city in Canada with a population of over 5 million residents in 2006 and its population is constantly growing and changing. Between 2007 and 2010, Toronto's population is expected to increase by an average of 1.9% per year therefore creating a demand for new housing. An aging and changing population is creating a need for different types of housing. Existing households are downsizing as the children of the baby boomers are leaving the home. Condos remain the most affordable ownership option for urban living. Current demographic changes along with a growing and changing population will continue to create a healthy demand for Toronto Condos. Overall, the outlook for the future of Toronto's Condo market remains positive and condo sales should continue to outpace the overall housing market.